Cait's Cozy Corner : Why I'll Never Go Gel Again! Why I'll Never Go Gel Again! I've been an avid gel manicure user for years. 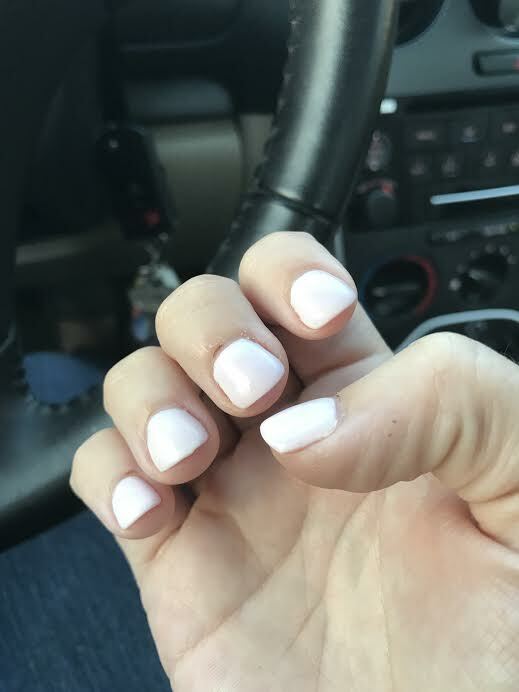 I've always been extremely hard on my nails and so having a gel manicure seemed to be perfect for me and my busy lifestyle until a friend told me she had something better! As a chronic nail biter ( Yes I know.. it's bad ) I used to put a nail polish on that would make biting my nails taste biter but somehow I would get around. Now as an adult, I just need to make sure my nail polish stays on so I don't have the urge to bite. I was complaining to a girlfriend how as much as I loved gel nails, taking them off would hurt and somehow I'd always chip a nail within the first week of getting them on. Once a nail is chipped, I have to take the rest off because I hate how my nails will look. Crazy right? When she told me about a dipping powder that was exactly like a gel finish but actually helped with your nail growth I was intrigued. Here's how SNS ( Signature Nail Systems ) nails work. Instead of using UV rays to seal in your polish, the color comes from a pigmented powder. 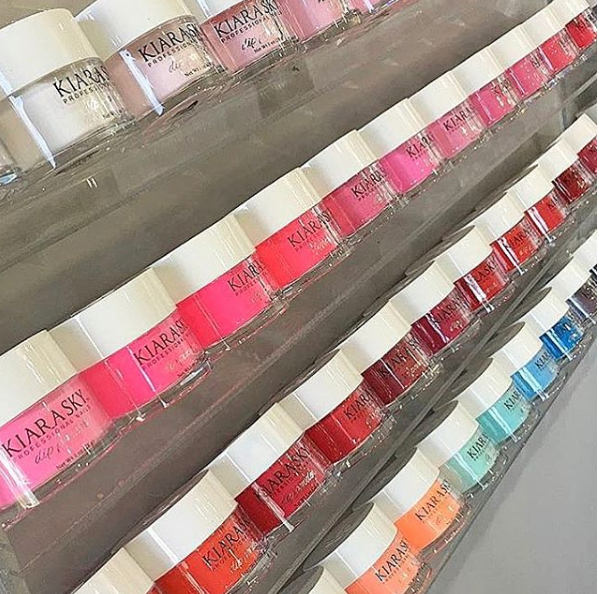 Between using a base coats and a sealant, you dip your nails into a jar of your chosen color for a mani that actually has lasted me three weeks with no chip! The funny thing is, apparently this isn't really new because it's been around for years, but thanks to social media it's really becoming more popular! Personally, I love the pink and white colors because they are thinner, lighter and easier to apply. Plus each color helps your nails grow stronger and healthier by added vitamins and calcium! This is my nails two weeks later and they still look as if I had them done the day before. I'm sold you guys and really don't think I'll do gel nails again! Have you tried SNS nails before? I do gel about 4x a year I love it but ruins my nails need to check into this thanks for sharing! Girl, I got a mani and pedi last weekend and my gel polish is already looking AWFUL. I'm going to have to try this next time! Thanks for the info! I have been wanting to try this! Thanks for the review! wow this sounds great, I need to try this! I've never heard of this type of polish but now I definitely want to give it a try! I used to use gel but it made my nails so weak after a while. :( This stuff sounds awesome!